Milan Preview: Dune and PLC Lounge Chairs from Modus. 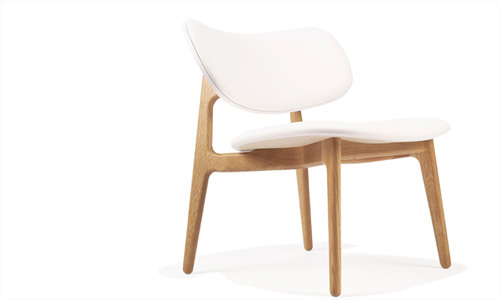 Here is a preview of some chairs from UK-based furniture manufacturer Modus. 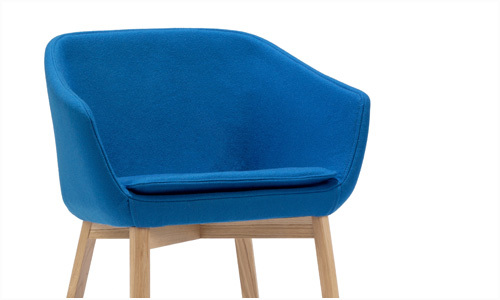 An extension to the Dune chair range by renowned Swedish designer Monica Förster. A fine expression of her strong sense of pure form combined with a curiosity for new materials and technology, Dune chair is produced from cold cure polyurethane foam over a steel frame. The upholstered seat has a separate internal foam cushion and optional distinctive stitching detail. The new addition to the line-up includes a timber base but the chair is also available with chrome ski legs or 4-star chrome swivel base. A marriage of simplicity and refinement, the new PLC lounge chair has been created by celebrated designers PearsonLloyd. Its low seat and oversized backrest allows it to work effortlessly in either residential or commercial spaces. The collection is available in an oak or beech painted frame, with either a colour matched or upholstered seat and backrest. I love these chairs…I always wish I had a humumgo house so that I can have all these things!! !